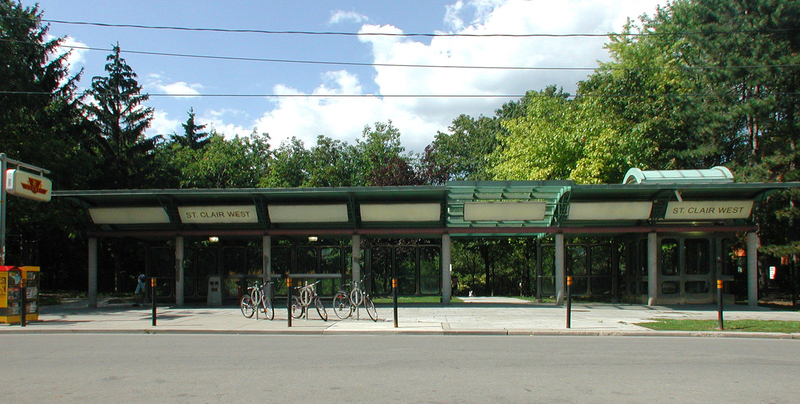 TTC: Saint Clair West Station Upgrades - Strasman Architects Inc. 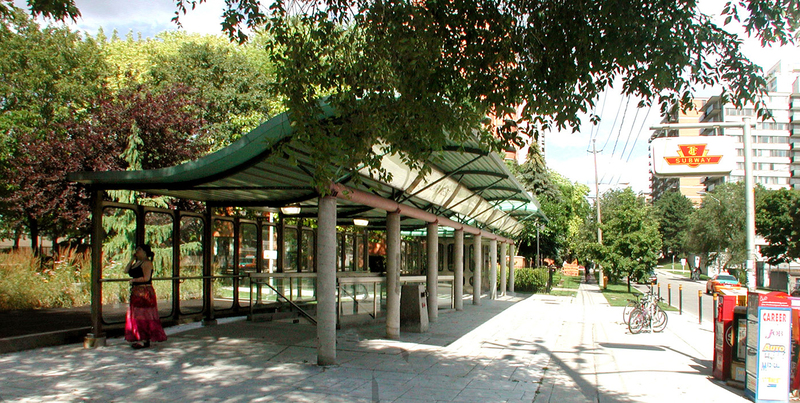 The St. Clair West (Heath Street Entrance) site is one of three, which originally formed a single project, all using variations on the same design vernacular. 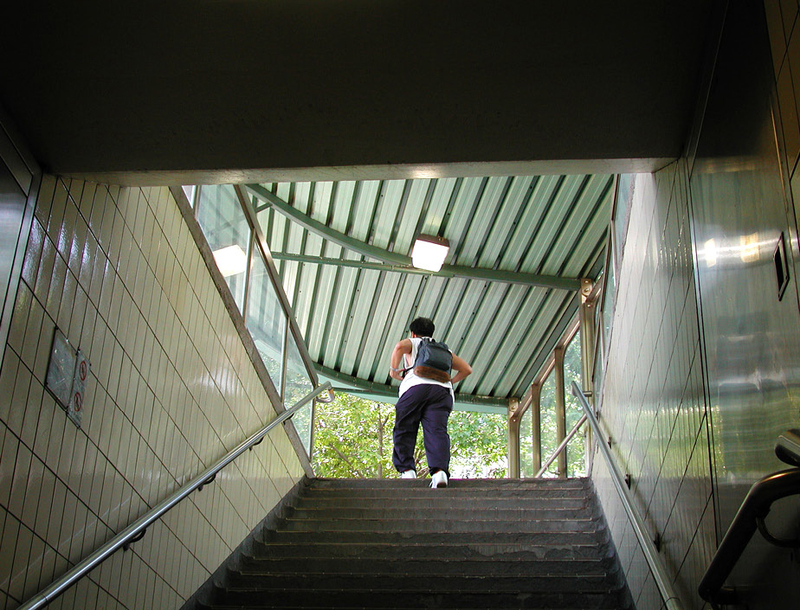 At this severely restricted site, a new escalator was not feasible; therefore a highly glazed elevator and shaft enclosure was inserted into the existing structure maintaining a clear and direct connection to the Mezzanine Level. 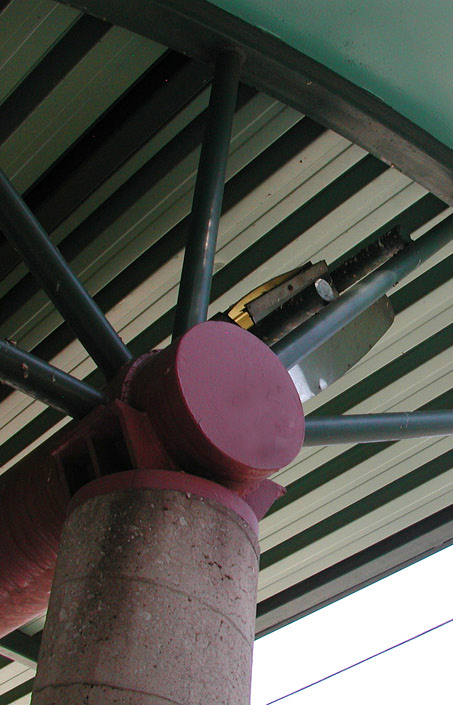 A wave-shaped metal roof enclosure supported by brackets off concrete columns provides weather protection from the refurbished (existing) stair well, over a park entrance walkway, to just beyond the elevator. 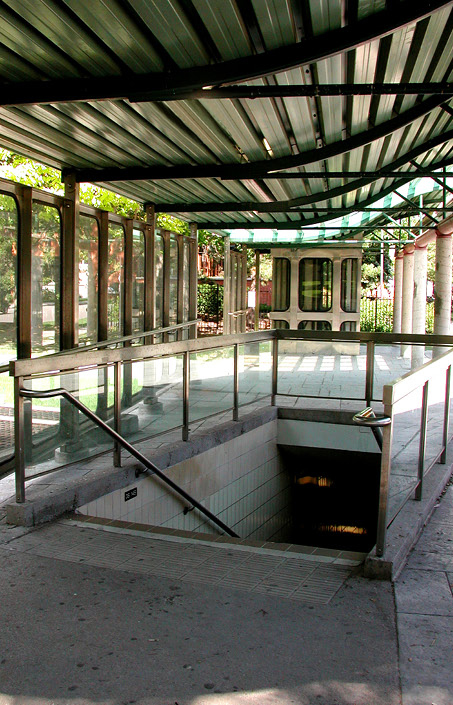 The windscreen and elevator shaft are detailed with EPDM glazing gaskets reminiscent of TTC subway car windows. Because the Heath Street entrance is often deserted, especially at night, in addition to closed circuit T.V., the enclosure at street level is well lit, easily accessible and highly visible, including an illuminated band of signage and advertising which adds a level of colour and animation to the site.